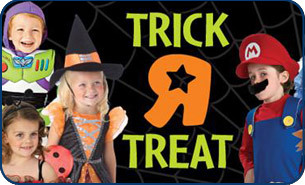 Personalize your Halloween bag with Crayola's Glow Explosion, make a Safety Pledge get a free giveaway. 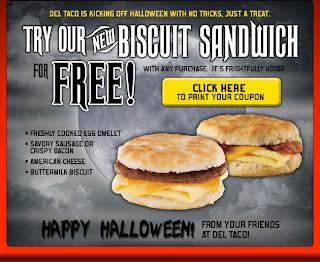 I just got this email from Del Taco. 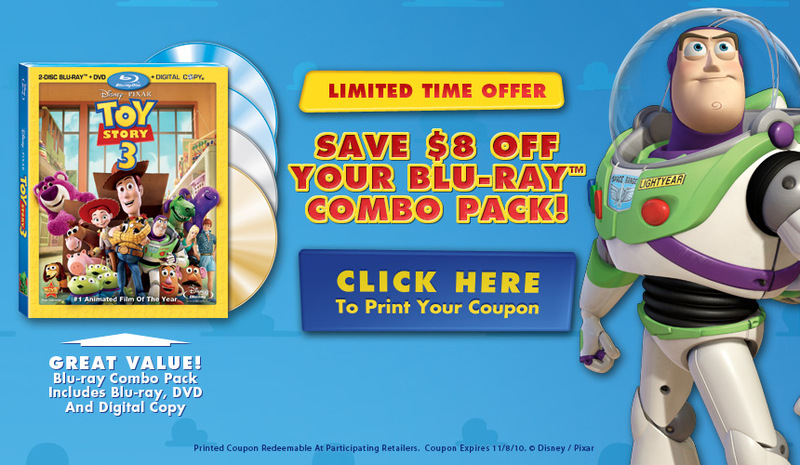 Click Here for coupon. This isn't free, but can be a good deal if you are looking for Christmas decorations. A few months a ago I bought a kitchen mystery box for $20. I got a lot of useful items like duct tape, tooth picks and straws. I also got a seasonal towel holder, coasters, knives and other items. I got well over $20 worth of items but only about $20 worth of items that I would use (I sold the rest at a yard sale) I don't need any Christmas decorations, so I won't be buying this one, but they guarantee that you will love it or they will give you your money back. 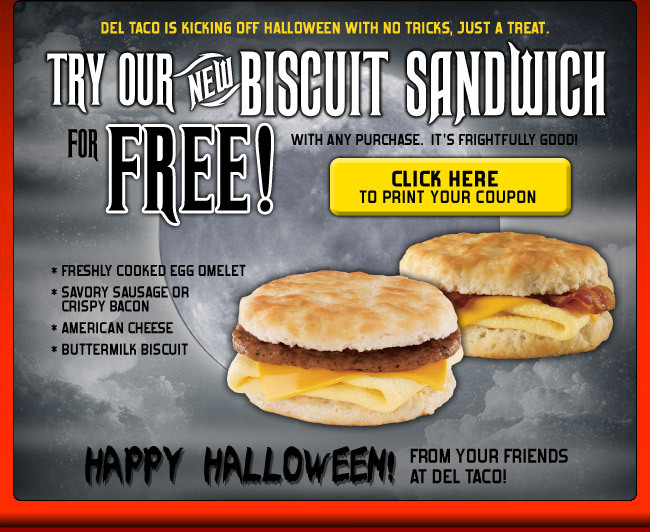 October 29th, over at IHOP, kids 12 and under can get a Free Scary Face Pancake! Dress up as a “horrifying processed food product” on Halloween and then head over to Chipotle after 6PMand you’ll get a burrito, bowl, salad, or an order of tacos filled with freshly cooked, naturally raised ingredients for only $2. On Sunday, 10/31…Participating Applebee’s Restaurants will be offering a FREE Kid’s Meal to children age 12 and under who are in costume! Each coupon from the TREAT SHEET is valid for one free kid’s meal with an adult entrée purchase at participating Applebee’s. 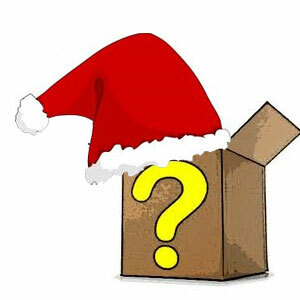 With all of these deals, I suggest calling your nearest location to make sure they are participating in the events! 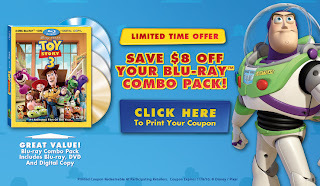 Since I got Netflix last year I stopped buying movies, but if you like to collect movies, this is a great coupon! 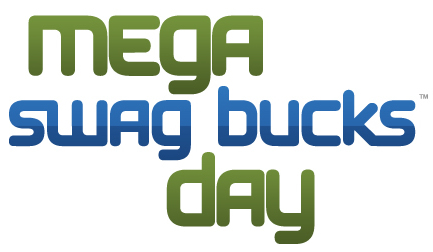 Horray for Friday and Mega Swag Buck Day! So far I have only redeemed my Swag Bucks for Amazon gift cards since they seem to be the best deal. I would love to hear what you all are getting with your Swag Bucks. Just blogging around this evening and found your blog. I love reading all the different blogs, they are all so different and unique. Thank you for letting me visit.